Are the countertops being replaced? 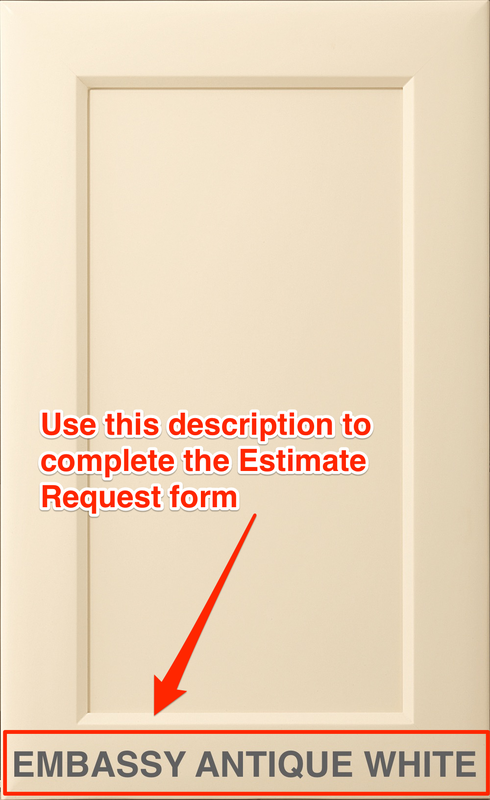 Please note that the first part of the description is the door style and the second part is the finish type. For example, Embassy is the door style and Antique White is the paint color. The door styles can be finished how you desire. For example, an Embassy can also be clear or stained wood. Any door can be fabricated in any wood type, door style, finish type, and color. Just let us know in the text field above!